Ladies’ Coffee Hour always welcomes newcomers; it’s never too late to join! We meet on Wednesday mornings from September to May. 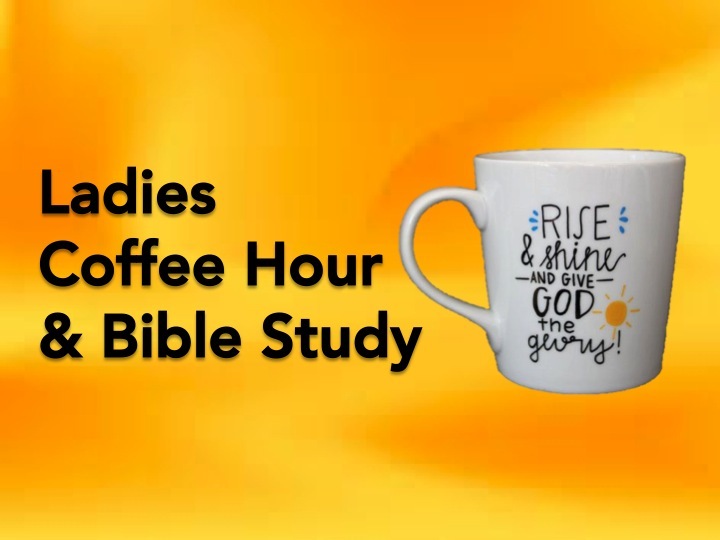 We start off with a time for coffee, snacks and visiting from 9:30-10:00 AM, and then we break into smaller groups for our bible study from 10:00-11:00 AM. There are a variety of groups including multi-generational groups, as well as groups with ladies of similar ages who may share similar life experiences. One such example of this would be our young moms’ group where women are free to bring their babies with them into the group. A quick chat with one of our leaders can help direct you to a group that’s right for you. There is also free childcare. There is a nursery for babies, as well as a children’s program for toddlers and preschoolers where they learn about God in their own class. This is a great opportunity to get connected and is just one of many ways to form meaningful relationships here at Bay Park. Please just show up on Wednesday at 9:30 AM or contact the church office for more details – office@baypark.ca or 613-389-2920.